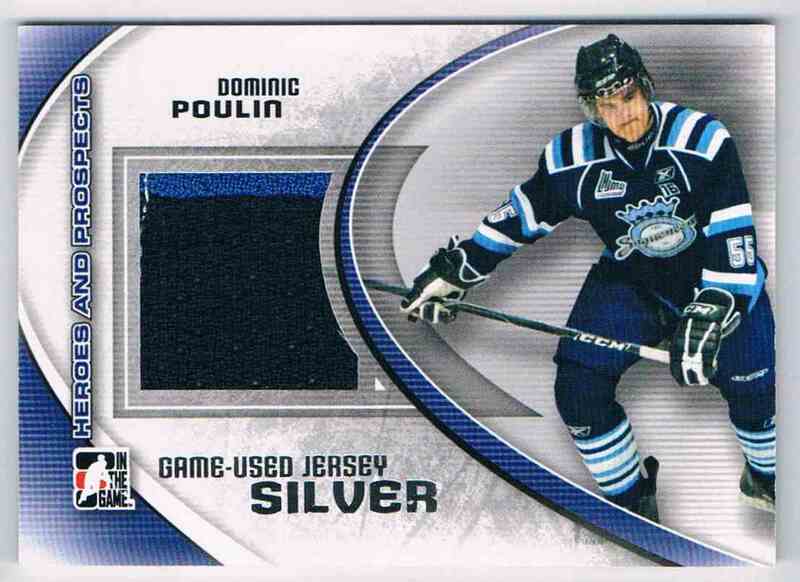 This is a Hockey trading card of Dominic Poulin, Chicoutmi Sagueneens. 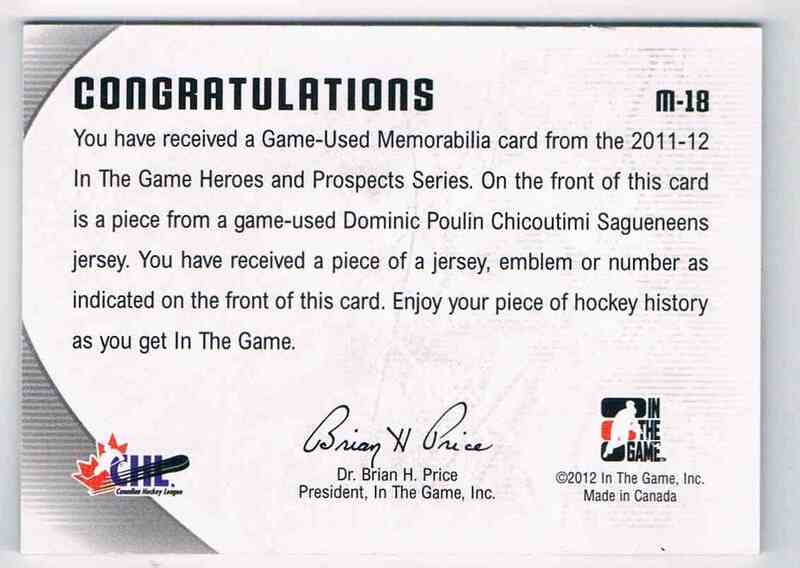 It comes from the 2011-12 ITG Heroes & Prospects set, card number M-18, embedded Jersey 2 Colors, serial numbered Silver Version /. It is for sale at a price of $ 5.00.